Craig R. Smith Chairman of Swiss America Trading Corporation. Craig R. Smith is Chairman of Swiss America Trading Corporation, an investment firm specializing in U.S. gold and silver coins. Mr. Smith founded the company in 1982 out of a bedroom in his home with $50.00. It has since grown into one of the largest and most respected firms in the industry known for its dedication to consumer education and safety. Mr. Smith does not go to Washington D.C. often, but when he does he always comes back with a fresh perspective on why self-government is key to solving our modern crises – not more government spending. Craig understands that fellow Americans want solid answers to the tough questions, having hosted two national talk radio shows during the 1990s: "America Talks" and "World Economic Perspective." Mr. Smith's free market economic worldview offers Americans a breath of fresh air amid today’s failed 'big government' approach. He believes we need a revival of self-government and free market principles to help rebuild the American economy; unlike the current administration's belief in multi-trillion dollar 'cradle-to-grave' government dependence. In 2014, Mr. Smith published his 32nd Anniversary issue of Real Money Perspectives, The Timeless Truth About Money, which explains why America is now facing a crisis in confidence as a result of the rising tide of debt and political distrust. In 2013, Mr. Smith published his 31st Anniversary issue of Real Money Perspectives, The Simple Truth, which provides a sobering analysis about what Americans should expect over the coming year as political currencies continue to crumble. In 2012, Mr. Smith published his 30th Anniversary issue of Real Money Perspectives, Vote Gold 2012 offers practical steps of asset diversification onto a personal gold standard, regardless of political outcomes, before the U.S. debt bubble bursts. In 2011, Mr. Smith published his 29th Anniversary issue of Real Money Perspectives, Economic Solutions which describes how geopolitical changes will propel market volatility, meanwhile political leaders march us closer toward "Weimerica". In 2010, Mr. Smith published his 28th Anniversary issue of Real Money Perspectives, Economic Realities describing the continuous fall of the dollar and how the continuous currency crisis is affecting the economy today. In 2009, Mr. Smith published his 27th Anniversary issue of Real Money Perspectives, The Financial Light of the World outlining nine economic realities of Obamanomics and how to survive and thrive during a recession. In 2008, Mr. Smith published his 26th Anniversary issue of Real Money Perspectives, Gold: The Next Stage explaining why gold is a conservative buy with liberal benefits, offering answers to the top 10 economic questions. In 2007, Mr. Smith published his 25th Anniversary issue of Real Money Perspectives, The Future of Gold featuring 47 expert perspectives on gold's future and why the gold rush is now on the verge of going public worldwide. In 2006, Mr. Smith published his 24th Anniversary issue of Real Money Perspectives, The Rule of Gold discussing why gold is fast becoming a new 4th currency and offering investors a 21st century investment scorecard. In 2005, Mr. Smith co-authored the book, Black Gold Stranglehold with Dr. Jerome Corsi which exposes the fraudulent science behind the belief that oil is a fossil fuel and that it is a finite resource. Also, Economic Solutions discussing economic and worldview issues of the day and tangible future trends. 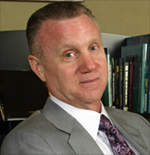 In 2004, Mr. Smith published his 23rd Anniversary issue of Real Money Perspectives, Restoring the Standard, and an educational DVD and CD, A Citizens Guide to Counter-Terrorism exposing the strategy of radical Islamic terrorist groups worldwide and offering Americans five steps of preparation. In 2003, Mr. Smith published THE NEW GOLD RUSH II: THE COLOR OF HOPE featuring over 39 respected economists who all agree "gold is the buy of a generation." Americans are tired, strapped and confused about ethics and economics. In 2002, Mr. Smith published THE NEW GOLD RUSH! to help investors navigate the uncertain economic and market conditions that have caused over $8 Billion in equity losses since the bull market in stocks ended in March 2000. In 2001, Mr. Smith's book, Rediscovering Gold in the 21st Century: The Complete Guide to the Next Gold Rush, was released to announce a new bull market in U.S. gold coins based on market trends, diversification principles and common sense. The book explains how to diversify assets based on historical principles, why U.S. gold coins are; timeless wealth, the basis for all money and offer financial protection, privacy and profit potential. 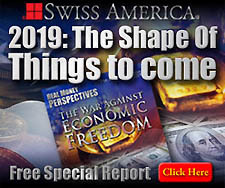 In 2000, in a partnership with Strategic Christian Services and Open Church Ministries, Swiss America published The Big Picture: The Shape of Things to Come on Planet Earth a one-hour program discussing social, economic and spiritual trends in the 21st century. In 1999, he turned his attention toward protecting families from objectionable, pornographic and violent content on the Internet with a free Internet content-filtering program called We-Blocker, distributed free online. In 1997, Smith's concern for public safety spring boarded the launch of the Year 2000 National Educational Task Force (YKKNET), which distributed millions of free resources from the American Red Cross, including Preparing Wisely for the Next Millennium, a 30-minute documentary featured nationally at Blockbuster Video. In 1993, Smith agreed to help the FBI with negotiating with David Korresh by allowing him to deliver a message on his national radio program during the Branch Davidian standoff in Waco. The Federal Bureau of Investigation later honored him with a written commendation for his exemplary work in attempting to resolve this tragic situation. When he isn't busy running his business and analyzing the markets, Craig takes a leading role in community service. Whether ministering to death row inmates, hosting public forums on drug safety for the government or contributing to inner-city rehab through the Los Angeles International Dream Center and the Phoenix Dream Center, Craig has learned that serving precedes leading. Craig and his wife Melissa have been married since 1977. They have two adult daughters and reside in Paradise Valley, Arizona. For more info or to book a media interview contact Bronwin Barilla by calling 1-800-950-2428 or email bkbarilla@swissamerica.com.